The cashierless Amazon Go store in Seattle will no longer be the only location. New stores will be opening in Chicago and San Francisco according to job postings and later confirmation by an Amazon spokesperson. Ever since the opening of the first Amazon Go store this past January, there have been hints from executives that expansion is a given. There are still no more announcements about when future stores will be ready for the general public, but real-estate tracker Curbed has hunted down the locations selected by Amazon. A 625-square-foot location in Chicago's Loop district has been chosen. In San Francisco, an Amazon Go store could be placed near Union Square, although the exact location is expected to be revealed in the coming weeks due to necessary building permits. In addition to these two new locations, there are allegedly still a few more Amazon Go stores waiting to be built. As many as six stores could open this year, according to Recode. Aside from Seattle, Los Angeles is also a possible location of another cashierless store. 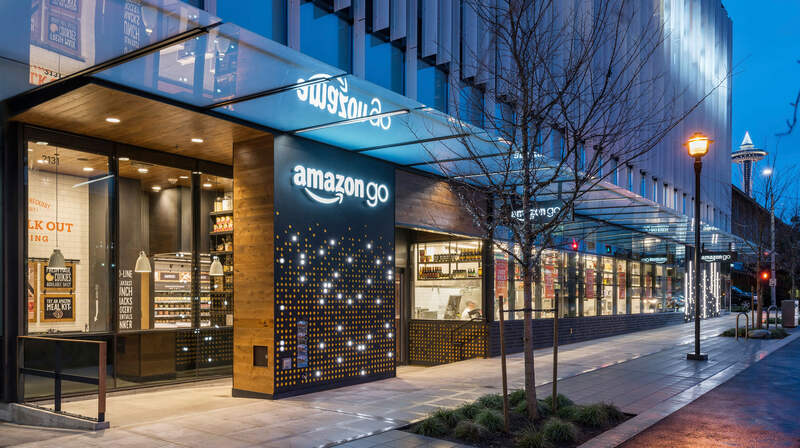 Now that Amazon owns Whole Foods, it is possible that Amazon may eventually consider creating small sections of stores to enable the "just walk out" shopping experience of an Amazon Go store. Technical limitations encountered during testing with employees show that it would be difficult to implement the tracking system on a much larger scale, albeit not impossible over the long term. To combat overloading the tracking system, customers occasionally are asked to wait outside if a maximum number of shoppers is reached. However, this issue has largely been eliminated just a few weeks after the grand opening of the original Amazon Go store.